Want a basic understanding of the socket fusion process without it taking all day? 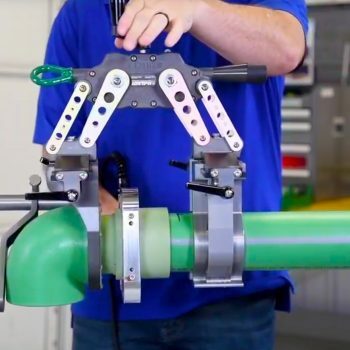 Watch our 3-step video series for a quick overview using the accurate and efficient Spider™ 125 Series 2 socket fusion tool. 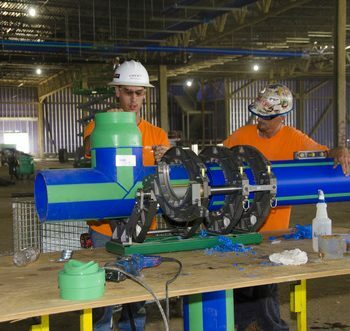 When polypropylene pipe is installed in a new building, workers have to fuse pipe in every spot of the new structure no matter how high, how low or tight the space. 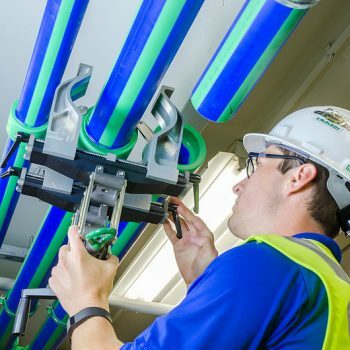 They could be socket fusing from scaffolding near the ceiling or strapped and straddled to an overhead pipe beam. They might be positioning fusion carriages vertically so they can fuse in the walls or fabricating long assemblies and T-joints on bench top machines.